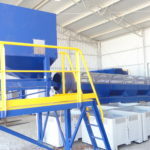 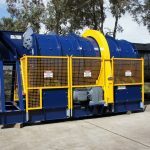 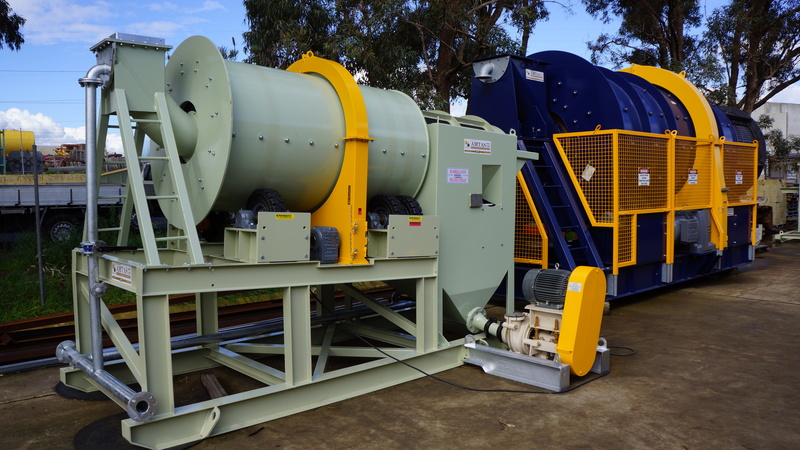 Capacities from 500kg per hour to 150 tonnes per hour with diameters from 300mm to 2400mm and varying scrubber / screen lengths. 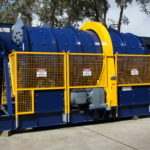 Most models have drive under scrubber section with cantilever trommel screen. 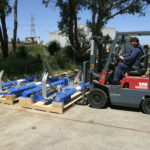 All drives fitted with fluid couplings for soft starting and incorporate heavy-duty forklift type solid wheels (split rim or two piece rim mounted). 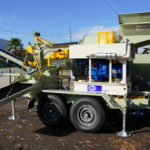 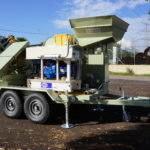 Standard mounting on skid base complete with undersize hopper, feed chute (wet or dry feed type – optional), spray bar and inline filter. 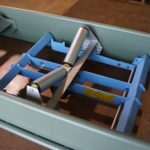 All models can also be incorporated into wheel mounted trailers or with tracks. 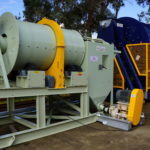 Often used in conjunction with Alluvial gold plants these scrubber trommels are essential for proper feed preparation prior to mineral extraction.